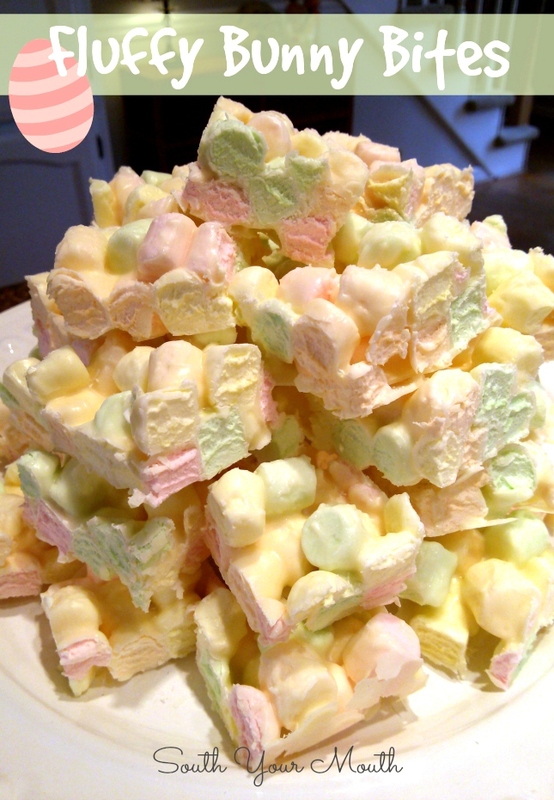 Fun and easy Easter treat recipe made with white chocolate chips and pastel marshmallows. So, remember the Fluffernutter Squares? We love them at our house and the onions have asked me to make them at least a dozen times since we first had them. 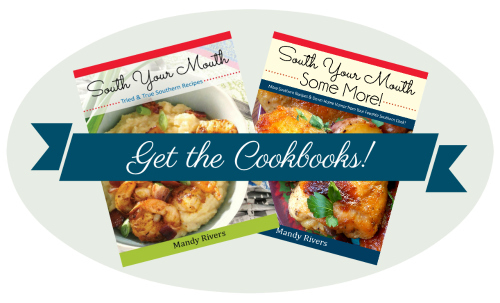 I got to thinking about how easy the recipe is and wondered what sorts of variations I could make from it. Then I spotted the colored fruity marshmallows at the grocery store and had this idea! Since Easter’s right around the corner I thought the pretty pastel marshmallows would be fun to use and I hoped the white chocolate chips would work like the peanut butter chips. I decided to use a little vegetable oil instead of butter to keep the color closer to white. And I figured I wouldn't need as much fat since the white chocolate chips should be creamier than the peanut butter ones. So I whipped up a batch and hoped for the best! I decide to make these in a larger pan to yield smaller squares to suit the little mouths that would be munching on them. These were precious! Precious, I tell ya! Now, loving peanut butter like I do, I won’t sit here and try to tell you they tasted as good to me as the Fluffernutter Squares but the little people loved them! Two neighborhood sweeties stopped by Sunday, spotted them on the counter and were like What’s that?! Can we have some?! Then all I could hear through little mouths full of marshmallows was Thuth ith realluh gooh! Cah I hah thom to tahk home wuth meh? Ha! I love little people! I called these Fluffy Bunny Bites as a riff off of the fluffernutter name. And I just had to give them an Easter themed name because look at them! They scream springtime and Easter! I think these would also be precious to serve at a baby shower! Line a 13x9 baking pan with wax paper; set aside. Pour marshmallows into a large bowl; set aside. Add white chips and oil to a microwave-safe bowl then melt, heating on high and stirring at 30-second intervals or add to a saucepan then heat and stir over medium-low heat until chips are completely melted and mixture is smooth. Pour melted chips over marshmallows and gently stir until all marshmallows are evenly coated. Spread mixture into prepared pan then refrigerate until set (about 2-3 hours). Once set, lift from pan by pulling up on wax paper. Cut into small squares. Store in an airtight container at room temperature. I have a package of almond bark I need to use. Do you think it would work ok? These are adorable! I would think so! But I don't know how much to tell you to use so you'll have to eyeball it! Why not butter instead of oil? In the post, she mentions it's to keep the color closer to white. Such a fun recipe with an adorable name....just love those spring colors. What a great idea. So glad you continue to share with us at Weekend Potluck! Happy Easter to you and yours. Add in some of your pink coconut ...perfect! I used an equal amount of almond bark (10 oz) in place of the veg. oil/morsels, and followed as directed. They were firmed up and ready in less than 5 minutes! Thanks for the post. The kids love 'em!